World Agudath Israel (Hebrew: אגודת ישראל‎), usually known as the Aguda, was established in the early twentieth century as the political arm of Ashkenazi Torah Judaism. It succeeded Agudas Shlumei Emunei Yisroel (Union of Faithful Jewry). Its base of support was located in Eastern Europe before the Second World War but, due to the revival of the Hasidic movement, it included Orthodox Jews throughout Europe. World Agudath Israel was established by Jewish religious leaders at a conference held at Kattowitz (Katowice) in 1912. They were concerned that the Tenth World Zionist Congress had defeated a motion by the Torah Nationalists Mizrachi movement for funding religious schools. The aim of World Agudath Israel was to strengthen Orthodox institutions independent of the Zionist movement and Mizrachi organization. The advent of the First World War delayed development of the organisation, however. During the First World War, Dr Pinchas Kohn and Rb Emmanuel Carlebach from Germany, were appointed as the rabbinical advisors to the German occupying forces in Poland. In this position, they worked closely with the Grand Rabbi of Ger, Rabbi Avraham Mordechai Alter. As a result of this collaboration, they formed Agudath Israel, whose aim was to unify Eastern European and Western European Orthodox Judaism. Agudath Israel gained a significant following, particularly among Hasidic Jews. It had representatives running in the Polish elections after the First World War, and they won seats in that country's parliament (Sejm). Among the elected representatives were Alexander Zusia Friedman, Rabbi Meir Shapiro, Rabbi Yosef Nechemya Kornitzer of Kraków, and Rabbi Aharon Lewin of Reysha. Prominent Torah scholars who led Agudath Yisroel included the Gerrer Rebbe, the Radziner Rebbe, Rabbi Mordechai Yosef Elazar Leiner, and the Chafetz Chaim. In Latvia between 1922-1934, members of the Agudath Israel faction, led by Mordechai Dubin, were elected to Saeima (The Parliament). Another prominent member of Agudath Israel was Michoel Ber Weissmandl. 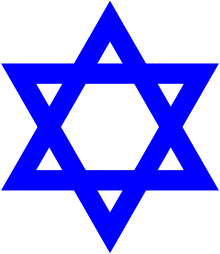 In the United Kingdom, the Agudath Israel movement was represented by the Adath Israel Synagogue, formed in 1909, and the Union of Orthodox Hebrew Congregations, formed in 1926. By 1943 Agudath Israel represented approximately 5000 families and was led by Rabbi Dr Solomon Schonfeld. The British secretary of the Agudath Israel World Organization, the political wing of the movement, was Harry Goodman, publisher and editor of Jewish Weekly. He played a key part in maintaining the Agudath Israel organization through World War II. Prior to World War II and the Holocaust, Agudath Israel operated a number of Jewish educational institutions throughout Europe. After the war, it has continued to operate such institutions in the United States as Agudath Israel of America, and in Israel. Agudath Israel is guided by its Moetzes Gedolei HaTorah (Council of Sages) in Israel and the USA. In the post-War period, Agudath Israel reached a modus vivendi with the State of Israel, which was predominantly led by secularists. It helped secure an agreement between Ashkenazi Rabbinical leaders and David Ben-Gurion which ensured Ashkenazi rabbinical co-ordination with the state, as well as the implementation of such guarantees as public observance consistent with the laws of the Sabbath and Kashrut. It has established itself as an Israeli political party winning seats in the Knesset either as the Agudat Israel or in coalition with other Orthodox groups running under the name United Torah Judaism. The World Agudath Israel Federation holds international conferences and Torah congressional meetings known as a Knessia Gedola.